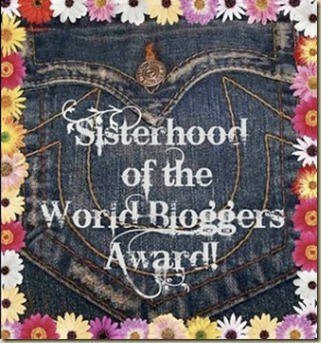 Sisterhood of the World Blogger’s Award! When I started this blog four months ago, I hoped to get to exercise my writing muscle. What I didn’t know was that there was this amazing community of bloggers that I would become a part of. It takes time and effort to read each other’s blogs, to comment, to browse. But it is so rewarding. You get to peek inside people’s minds, you get to see what they care about, what they find funny, what annoys them. And you get to “know” some talented writers. I have found myself laughing at some of the things my fellow bloggers write. Sometimes crying. Sometimes scratching my head, sometimes thinking over their thoughts hours after I’ve walked away from the computer. And often I’ve found inspiration. I am so honored to have been nominated for the Sisterhood of the World Blogger’s Award by Vida at Good Graciousness. Her blog is inspirational and she has one of the best Header photos I’ve seen! 1. My first pet was an iguana, a friend gave him to me in college. His name was Morrison (The Lizard King). He was a cool little guy. 3. The first time I met my husband I ran face first into a wall. Yep. It went like this: (my boss)”Gretchen, this is Joe, he’s new here.” (Joe) “Hi nice to meet you.” (Me) “Hi, nice to….” splat. 5. I am fascinated by anything related to Health and Medicine. My current obsession is Dr. Radio. 6. I am a reformed news and political junkie. I’ll probably fall off the wagon again during the 2016 elections. 7. I once danced with Mick Jagger. Well, not technically with him. But next to him. At one point our shoulders actually bumped into each other. It was pretty awesome. 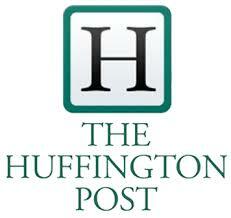 The following blogs are my nominations for this award. These women are smart and funny and thoughtful and talented. I hope you’ll check them out and see why I think they’re all so great! BTW, I love name-dropping when it involves rubbing shoulders with the likes of Jagger. Drop away! No, no broken nose, just a bruised ego. And yeah, dancing next to Mick Jagger was really cool, it’s the only time I allow myself to shamelessly name drop! Dancing next to Mick Jagger is pretty awesome. I’m curious, did you break your nose when you slammed into the wall?